We are excited to kick-off our 5th Season of Guest Artists in Residence! 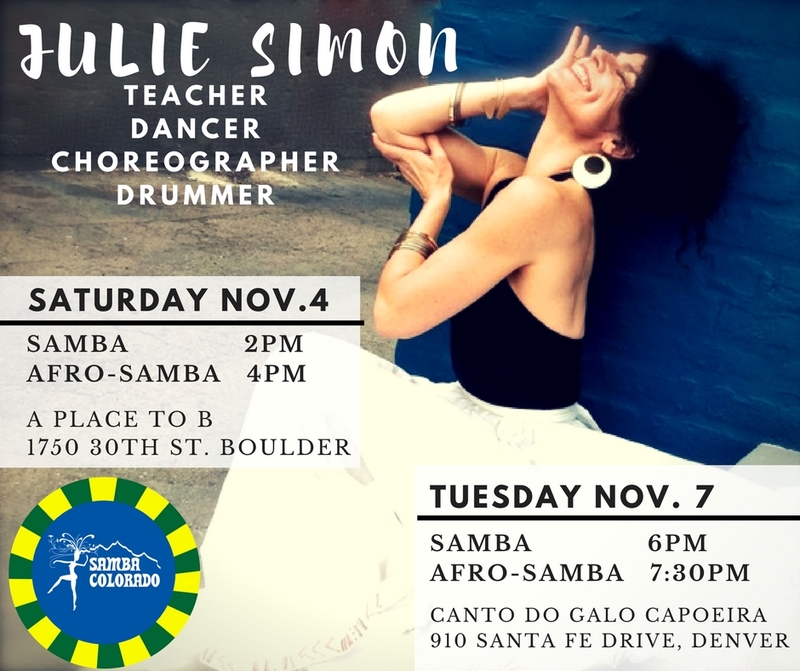 Join us in welcoming international dancer, performer, and choreographer, Julie Simon, co-owner of Infuse Dance Studio, Director of Tropicaleiza Dance Company and Founder and Artistic Director of Muvuca Bateria, an all women Brazilian inspired drum group in Los Angeles. Workshops are open to all levels of dancers! No experience needed. See you there!